The KURT e-vehicle platform offers unlimited possibilities in many diverse applications. To enable this potential, kurt.mobi introduced the Co-Create product engineering track. You develop your part of the vehicle for a specific purpose and while the risks are shared so is the income. This approach very much lowers the threshold to develop innovative e-mobility solutions without the need to develop the whole from scratch. 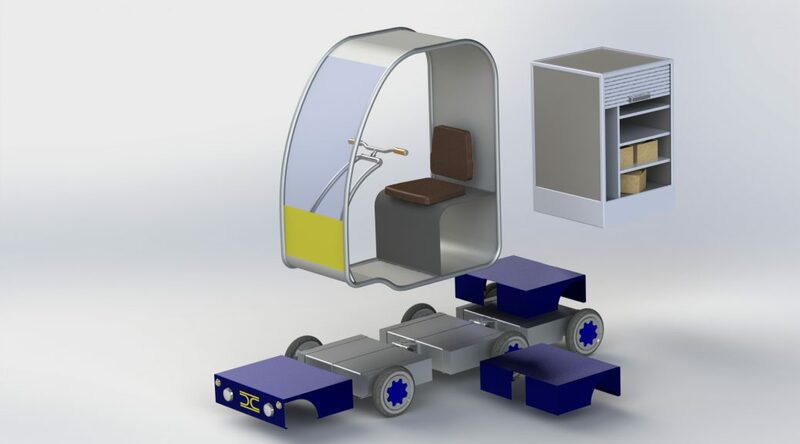 The KURT e-vehicle platform technology is also available under a licensing scheme. In the simplest scheme, the licensee acquires the propulsion platform components from kurt.mobi and assembles them together with his application specific superstructure. In the Open Technology Licensing, the licensee obtains all design data (mechanical data, electronics, software, ...) and is fully responsible for the manufacturing of the vehicle components. Contact us at kurt.mobi for more details.